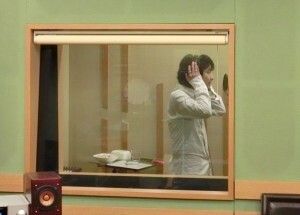 Seiyuu Yoshino Hiroyuki will make his debut as a recording artiste under record label 'Kiramune' this summer. 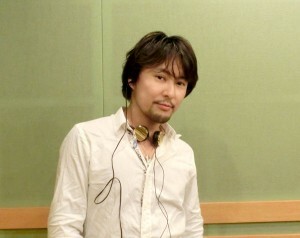 Yoshino, also known as Yocchin to his fans, started voice acting in 1996. He is no stranger to singing but only in character before this. With him on board, Kiramune has expanded the roster of voice actors under its label. Also under Kiramune are Kamiya Hiroshi, Irino Miyu, Okamoto Nobuhiko, Kakihara Tetsuya, Namikawa Daisuke, KAmiYU (Kamiya Hiroshi & Irino Miyu), CONNECT (Iwata Mitsuo & Suzumura Kenichi) and Trignal (Eguchi Takuya, Kimura Ryouhei & Yonaga Tsubasa). Someone who doesn't know about music is getting started in it. Music beginner. First year music student. Music freshman. little by little, my interest in music grew. Will I be able to show myself when I'm not playing a character? What can I express through music? What can I convey to everyone? I am grateful to Kiramune which has lend me its strength so I can start on my music. I am inexperienced but I look forward to it. It's not a joke that I'm releasing a CD.